My name is Daniel and I am currently undeclared in my engineering school, but I am in the process of changing my major to Business Administration. The reason I want to change is because I am tired of getting C’s in engineering courses and being happy about it since they are challenging (I did try my best in every course I took, but it sometimes was not good enough). Provides an overview of the field of business administration. Explores business goals and strategies, functional areas of business and their integration in policy and decision making, social responsibility, computers in business, and business trends and challenges including the international dimension. A study of the concepts and techniques for measurement and communication of financial information. Includes interpretation of financial statements. I want to get an internship for Summer 2016, but I have a couple questions and concerns about obtaining an internship next summer. I do not start taking upper division business/accounting courses until Winter 2016. I know GPA is not everything, but I personally feel like an employer will not consider me because my GPA is below at 3.0. Furthermore, my lack of accounting knowledge will not make me a strong candidate. I want to wait until the 2016-2017 academic school year to get an internship, but I feel like it will be too late if I graduate in June 2017 (I might have to be a fifth year since I am changing my major late into my undergraduate career). I was wondering if you can guide me on the steps of acquiring an internship. I have no idea where to start and what to do. I looked into two internships that I might apply for Summer 2016. One is the BOLD program at Google and the other one is an Auditor at PwC. Additionally, the Career Center at my school told me about some career/internship fairs that will be happening this Fall. If you have anything tips and tricks that will help me out due to my current situation will help a lot. Thank you so much in advance for the assistance. Having a sub 3.0 GPA can be terrible. 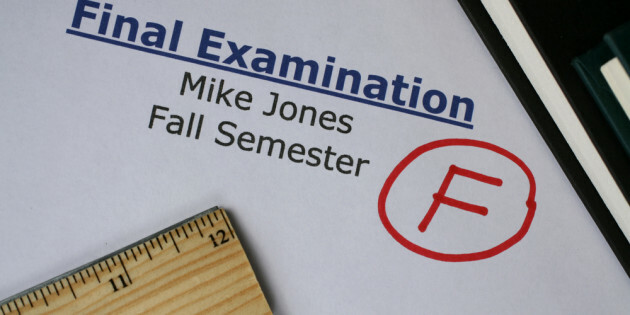 GPA isn’t everything, but below the three level employers start to get nervous. In this situation, you need to get the GPA up regardless of the decision. Unless you have some amazing personal story of starting a business or something like that, I don’t think Google is realistic. With PwC, you also need a higher GPA (3.23 got in me but that was on the very low side). Also, if you are going into accounting, you need to get a CPA license which requires 150 credit hours. Complete whatever degree is the fastest now and take as many accounting courses as electives as you can. Then enter a Masters of Accounting (your GPA will reset). Once you get a good GPA after a semester in the Masters program (hopefully 3.5 or higher), you can beat the streets for a full-time job. Internships are great, but it will be tough to land one with a terrible GPA and not even having a declared accounting major. A good friend of mine had a 2.8 in undergrad and a 3.6 in his Masters program. He now works at Ernst & Young. For some people, it’s best to just finish the degree and be glad things reset in the Masters degree. I happened to have double major with accounting and economics in undergrad but was kind of low on the accounting side of classes since I almost always screw up finals despite having perfect midterms, course works and homeworks. Hard electives hurt a bit too though my economics GPA was quite high (3.47). Need a world class act hacker?I was in some really embarrassing cyber issues which led me to meeting some fake hackers as well but my zeal to solve my issue eventually paid off when a friend of mine introduced me to his hacker friend,his work rate,professionalism and discretion is top class..He hacks from destroying data and evidence against you,changing school and university grades,hacking into your cheating spouse phone to someone who is trying to blackmail you and etc.His services are top class! You can drop him a text “(305) 306-5209″..He’s kinda picky though so make mention of the reference Derick Howard referred you…Goodluck! I never believed school could be easy till i sent Whitecathackers@gmail.com a text. she has helped me in more ways than you can think of. Changing of grades? that’s the easiest thing with this lady. just give her a couple of days. best results and the funny thing is i don”t even know her real name. I’d argue that you would definitely be able to receive an internship despite your GPA. Hit up any accounting firm, professional, or people you know/think may know accountants. Build up a relationship where you provide 51% value, and then go in for the ask. Or, provide value, then just go for it.If you want to be hired though, I think posting something on social media or on a blog would seriously help and if some professional sees it and reaches out….then that would be your ticket. If you might need some help setting that up though, I could definitely help with social media. Would definitely recommend looking at Gary Vaynerchuk (garyvee) if you want to get much more practical and awesome advice. Are you looking for a reliable Hacking Service? We render the best hacking service on the web. We are experience and have on the job training and our customers come first. We also sell high grades techs and hacking chips and gadgets if you are interested in Spying on anyone. We sell software, apps for hacking service. Interested parties should contact us via mail. Your security is 100% guarantee. and help you he is a nice man. Enjoy a free SME loan appraisal with the best terms at the lowest rates, quick and risk-free. If you are looking for a legal loan in Africa, America, Europe, Asia, we offer the most trustworthy and valuable solutions for your financial needs. An ability to nurture and support entrepreneurs is our forte. We provide secured loan services to all enterprises as well as other entities engaged in income generation activities mainly facilitating needs like business expansion, technology up-gradation and working capital requirement etc. For more information; you may peruse our website: http://www.zenith-trustees.com and kindly suggest if you have any questions in this regard. Finish your engineering, and take additional accounting classes, don’t switch your major, then combine your accounting skills with your engineering skills to land a good job. No one cares about your GPA in engineering, and no one cares about your GPA if you’re a CPA.